Activities | Official Website of Extension Training Centre, Nongsder, Government of Meghalaya, India. Plan Proposal : 2 (two) activities have been planned for taking up during the year. Subject : Training and Capacity Building Programme on Livelihood Promotion through SHGs / Federations. 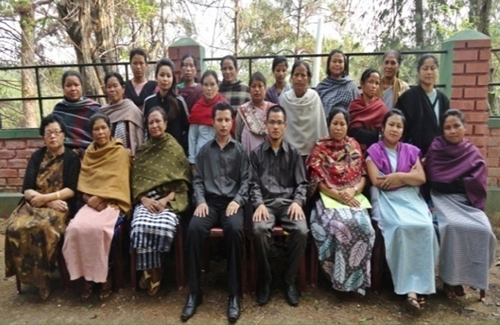 Target Villages : Nongsder, Ri Bhoi District & Larnai, West Jaintia Hills District. 1. Target Village : Nongsder, Ribhoi District. Background : Nongsder village, where the ETC campus is situated has about 542 households with a population of about 3800 persons. 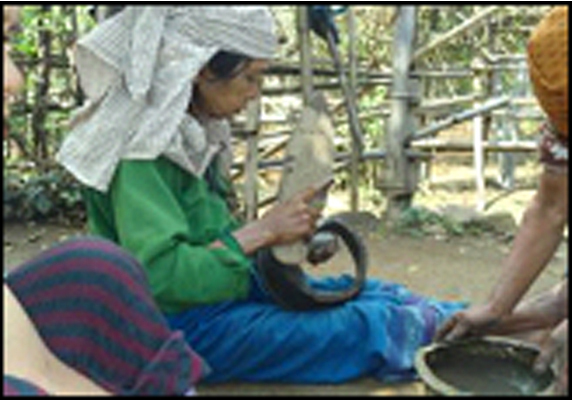 The village Seng Khynthei (a community based women organisation) plays a very active role in promoting the welfare of the women folk and the village as a whole. The Seng Kynthei while involving in such social activities realized the need for economic empowerment for the upliftment of women. The women members wanted the ETC to give them training to build their capacity. Because of the demand driven effort of women of this village the ETC started this activity of training and capacity building on Livelihood promotion through Self Help Groups. How to form an SHG? How can SHG help in the economic upliftment? 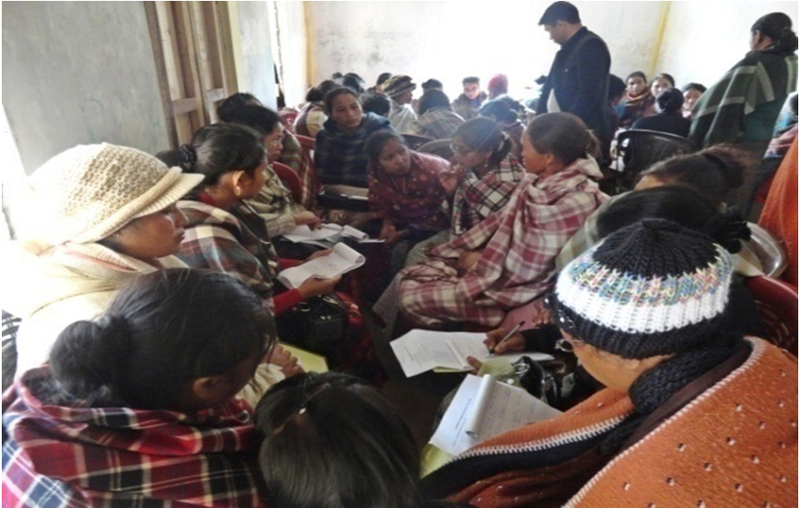 An exposure visit to performing SHGs in East Khasi Hills was also organised. At the end of the training the participants have drawn up the following action plan. 2. Target Village : Larnai, West Jaintia Hills District. Larnai is a village located at West Jaintia Hills District. It is famous for pottery works, but still in crude form. The village has about 102 household with a population of 633. A field visit was organised to the Village on the 9th Jan 2013. It was observed that the villagers were not familiar with the concept of SHG. On interacting with them they showed keenness to learn about SHG which they felt would help them promote their traditional skills. In the course of the visit and interaction the followings findings evolved. 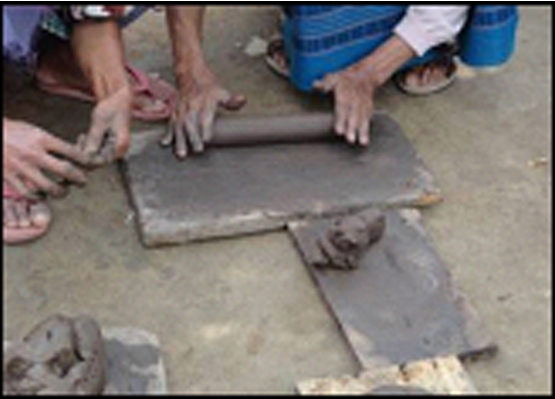 Pottery was an age old activity and also the tradition of the people of the village. The activity was practiced only to keep the tradition alive and a very small income is generated from it. The technology was very old and not cost effective and there were no machinery involved. 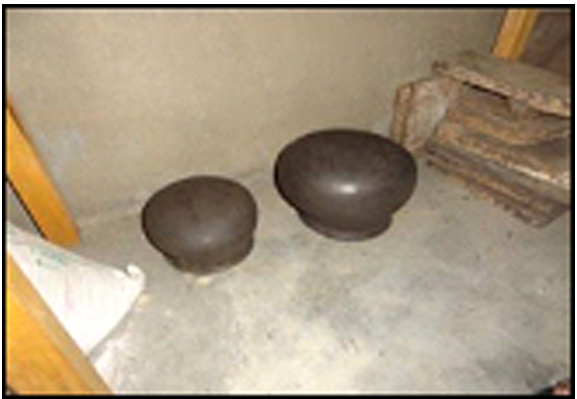 The raw materials like clay had to be collected from far away and transportation of the same involved a lot of money. Curing of the pots involves burning of firewood which in turn cost a lot of expenditure. It is proposed that Training and Capacity Building Programmes will be taken up from the beginning of the FY 2013-14 when the action plan will be prepared with the villages.